Things with MNPS have now reached the Op-Ed writing stage. Friday, school board members Amy Frogge, Fran Bush, and Jill Speering wrote a piece for the Tennessean on why it was time for a change in leadership. Earlier in the week, Rosetta Miller Perry wrote a piece for the Tennessee Tribune about how the white women on the school board were once again picking on Dr. Joseph – more about that in a minute that’ll explain my flippancy. Not to be outdone, former MNPS board member Mary Pierce chimed in with her own piece over the weekend. Before we get started with Mary Pierce’s muse, let me just say one thing. I like Mary Pierce. She can be very thoughtful, she genuinely cares, and she often offers solid insight, but for the life of me I can not understand her insistence on being Lex Luthor to Amy Frogge’s Superman. Or if you prefer, Thor to Frogge’s Loki. It’s like one long-running sequel to Mean Girls. If Amy Frogge wrote a post declaring the sky blue, Pierce would return with one about how it only appears that way but in actuality, there is no color. A new director will not redirect this board if individual members continue to insist that the district be run his/her individual way. Until our board members come to the table with an authentic, student-centered posture and are willing to look at whatever works for children, our kids–and thus our city–will not move forward. The board shall be responsible for specifying its requirements and expectations of the director of schools and then holding the director accountable by evaluating how well those requirements and expectations have been met. In turn, the director shall be responsible for specifying requirements and expectations for all administrators who report to him/her and then holding each accountable by evaluating how well requirements and expectations have been met. That’s pretty clear, isn’t it? But like any policy or contract, it’s only good if it’s being enforced. And currently, that is questionable. The second part of the Pierce quote is a head shaker for me as well. In a democracy, you run for office based on your individual perception of how the job should best be done. In others words, when I ran for school board, I ran based on a more active role for the board, more autonomy, and compensation for teachers, better facilities for schools, and increased services for English Learners. That’s how I thought schools should be run and if elected those are the things I would have fought for. Unfortunately, not enough people agreed with me, but that’s another story. Frogge and Pierce have very different opinions on what’s best for students based on their own individual research. I could spend months tearing apart the merits of the research as conducted by both, but in the end, it’s irrelevant because they were both elected by their constituents based on the belief in their individual visions. Nobody cast a vote for either based on a perception of how they were going to modify their vision to best suit other board members. I’ve always said I admired Pierce because the manner in which she served her constituents. Her views remained consistent with those she espoused while running, and therefore she represented those who elected her admirably. That should be recognized, noted, and applauded because it’s not always the case. Frogge and Speering won their re-elections in 2014 handily. In other words, their visions resonated with people. Why would people elect someone whose vision for schools they agreed with and then not expect them to fight for that vision? In my opinion, this is what Pierce and the majority of the current board are missing. They were elected to their position based on a vision, so they need to fight for that vision. Frogge wasn’t elected because she shared a vision with Pierce – she had an opponent that did that and decisively defeated him. So why would you expect her to abandon that vision once elected? For some reason, it seems to be lost in the shuffle that Speering is a career educator. One whose experience eclipses that of Dr. Joseph. It baffles me how we want to give teachers a JCrew gift card because they are so amazing, yet are quick to dismiss their insight based on a lifetime of experience. How do you think Jill Speering became such an ardent supporter of Reading Recovery? Do you think she heard about it a conference? Maybe a consultant told her about it? Or do you think it grew out of a lifetime of serving kids and seeing first hand its results as compared to other programs? It’s a ridiculous expectation. What should be sought out is where the visions overlap, but again, that is for another day. When it comes to Speering, the charge that she is letting personal ideals get in the way of what’s best for kids is even more ridiculous. Do you think that in 30-plus years of classroom work, Speering never used another reading program? Clearly, based on a lifetime of research, she has come to the belief that Reading Recovery is the best program for kids. Why would you think that she would abandon a student-centered posture that has proven to work for children based on a half-assed research paper cited by a director who is clearly playing politics? In other words, by continually fighting for Reading Recovery, Speering is doing exactly what Pierce is calling on board members to do: fight for what is best for kids. The most disturbing thing about Pierce’s whole piece is that once again she seeks to return us to the year 2014 and the fight over charter schools. It is a fight that based on results from the 2014 election has basically been settled. The electorate at that time indicated they were not clamoring for more charter schools and basically liked the way things were being handled. They further indicated that they were ready to move on in the conversation. In the last 4 years, I like to believe that the conversations involving charter schools have matured. For myself, I recognize that some charter schools are doing really good work. Some not so much. Some traditional schools are doing really well. Some not so much. I just don’t have time to get bogged down in the debating of their merit when there are so many other issues demanding attention – teacher attrition, capital needs, discipline issues, etc. I personally don’t believe at this time there is a need for more charter schools. If there was, I wouldn’t see recruitment signs for Valor Academy High School peppered along back roads in Nashville. Valor performs on a similar level as Hume-Fogg, yet I’ve never seen a single recruitment flier for Hume-Fogg. Beyond that, while I believe both schools are exceptional, I don’t think either has a model that is scalable. So why waste time debating? Re-engaging in the charter school wars does nothing but give cover to an administration that is underserving our kids. I challenge you, the next time you see Ms. Pierce, ask her, “Do you think Dr. Joseph is adequately serving our kids? Which of his policies do you feel are setting kids up for success? Why do you think we are losing so many quality professional educators?” I’d be interested in what she has to say. I could write more, but I think I’ve said enough for today. Oh… one last thing… those governance meeting agendas Pierce cited… could she send me a copy of those? Because I’ve never seen an agenda or minutes from a single board committee meeting or retreat in 4 years. Kind of a sticking point with me. You know, that transparency thing. That said, here’s to hoping that Pierce continues to pen opinion pieces and stays engaged. We may not always agree, but I do believe Pierce offers a valuable and essential piece of the conversation. … taken on the appearance of a disgraceful reality show – struggling for ratings, high in poor taste, and lacking any semblance of class. Like the elements found in many reality shows, Frogge spews negative narratives about administration officials without facts, shares anonymous and baseless rumors, and makes obscure accusations and statements at Board meetings based on random conversations she says she has had with select employees. That’s a nice trick, using obscure accusations and statements in order to accuse others of making obscure accusations and statements. Brilliant. The most disturbing thing about this article, and Pierce’s as well, is the complete dismissal of new board member Fran Bush, an African-American woman. Bush has been every bit as critical of Dr. Joseph, and being a newer board member, has been less polished in delivering that criticism. Yet she receives nary a mention in either piece. Why do you think that is? Former mayoral candidate jeff obafemi carr responded to a Facebook post by the three board members by evoking an image of Emmitt Till. 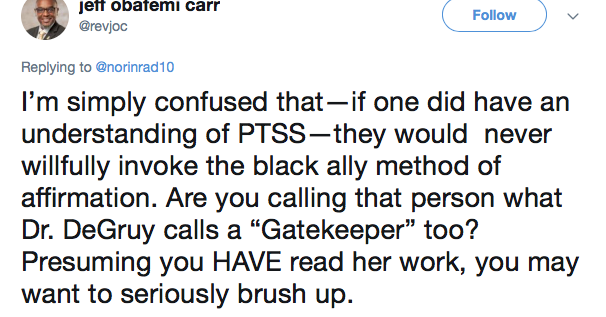 When challenged about how that was possible since one of the authors was an African-American woman, he evoked the respected work of Dr. Joy DeGruy and accused me of attempting to use Bush in the role of a gatekeeper. In her work, Dr. DeGruy spoke of issues of restorative justice and equity and the necessity of circumventing chosen gatekeepers that she has described as “Black folk who are sick and hate themselves more than others do, including self-loathing teachers, facilitators, leaders that don’t live in our communities yet become representatives and spokespersons for Black people.” That’s a pretty interesting take seeing as Ms. Bush actually does live in the community and was elected by a largely black electorate. I would urge everyone to not dismiss the words of Fran Bush just because she doesn’t fit the narrative you are trying to sell. That’s advice for people on both sides of the issues. MNPS is hosting their annual School Choice Festival on Thursday. November 15. Join them to visit every Metro School in one place! The state finally lifted their embargo on WIDA scores last week. WIDA is the test given to EL students to measure their growth and whether they are eligible to exit EL services. There is a lot more I need to write about this as I continue digging into the numbers, but in looking through the data I found both plusses and minuses. More minuses than I would suspect considering that for the last 3 years MNPS has been exceeding state goals. MNPS educates the largest contingency of EL students in Tennessee and for the most part, we do a good job. In examining the data, the primary focus is on exit rates and the percentage of students making expected growth. Exit rates should be between 16 – 19%. This usually indicates that you are exiting students in a manner that ensures progress but is not pushing out kids too soon. Exit rates were down a bit for MNPS this year with a rate of 14.7%. Students showing growth was slightly below the state average of 50% at 47%. Interestingly enough, some of the surrounding counties of Nashville have seen an influx of EL students and seem to be doing quite well in providing instruction. Rutherford, with 2,809 students, had a 20.5% exit rate and a growth rate of 54.9%. Williamson County has 559 students with an exit rate of 42.8% and a growth rate of 71%. Keep in mind, though, that they are serving a student population with an average literacy score of 3.9 compared to MNPS and other districts students having a score of 3. Wilson County had 473 students with an exit rate of 20.1% and a growth of 50.8%. Their literacy score was 3.4. Like I said, still a lot more to dig in and write about. I do want to give a shout out to Norman Binkley ES, J.E. Moss ES, Lakeview ES, Mt. View ES, and Neely’s Bend ES. All produced scores significantly higher than state averages. We are also lucky to have Molly Stovall at the helm. Her presence should instill confidence. I am a fan of Mt Pleasant Principal Ryan Jackson, though at times his intensity can be intimidating. His is an incedible story filled with passion. 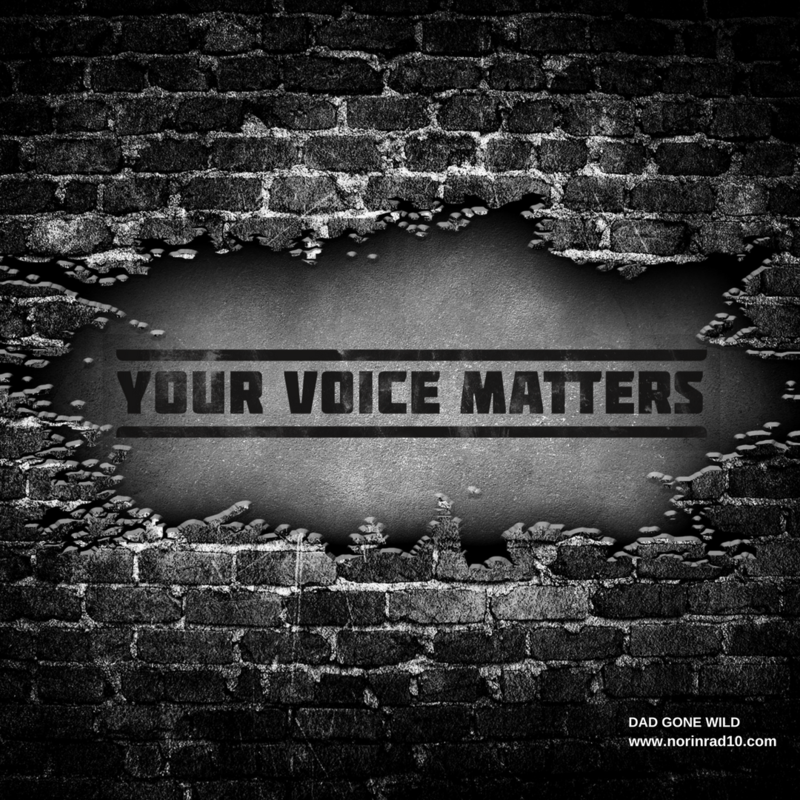 Check out what he has to say in the TNEd Report on changing school culture. It’s an important read. Wow! We got a lot of response to this week’s poll questions. Roughly 200 answers to every question. Let’s look at results. Dude makes 337k while teachers suffer. He doesn’t care. Nobody. He acts like he doesn’t need anybody else. Can JC come back to help communicate? Can Oden take over communications? We miss JC’s jokes and culture building. That would be nice to have back. None of the above. The winners were all let go. JC back to communications please so someone will tell our positive stories. Digusting. I am sure the suddenly silent Will Pinkson agrees. Must have been advice from Pinkston. He needs a win and he and Blackburn are neck in neck. It’s strategy.